A few weeks ago Joe and I went out for dinner on a Saturday night. We settled into a quiet table at one of our favorite restaurants, ordered nachos and drinks, and started to talk about what we always talk about when we’re alone on date night: our kids. We giggled over the funny and tender moments from the week—how bossy Henry is, how Rose will only wear tights. How Charlie beat Joey at chess, and the way they are all eating us out of house and home. We chuckled about Jack’s latest obsession with geography and countries, how he asked if we could go to Nicaragua for our next family vacation. And out of nowhere—and I do mean nowhere—I began to weep. Tearfully, I told Joe that I can’t believe we have a child who is considered special needs, a son who may not live on his own, who might need assistance for the rest of his life. And he looked down at the table and back up at me, and said quietly, “I know. Not a day goes by when I don’t worry about him.” Over greasy nachos and cocktails in a dimly lit restaurant, we both felt the icy fingers of fear grip our hearts. For the first time in my life, I’m writing on a regular basis, and every week I sit at my computer to ponder autism and Jack. I think about the many ways this wily spectrum disorder has shaped me as a mother and affected our lives as a family. I consider it from all angles; funny and sad and frustrating and confusing. And then I try to package it so you and I and maybe the world can understand it just a tiny bit better. But in that process of packaging, I’ve been forced to reexamine how I actually feel about having a son who is diagnosed with Autism Spectrum Disorder. I’ve had to bypass all the oh he hates math and sometimes he curses and he sure has the zoomies this afternoon and drill down to the deeper, darker, heart of the autistic matter. The he may live with us forever and will he graduate high school kind of fear. Will he ever drive a car? I don’t know. He could certainly put a key in the ignition and set the car in drive and steer down the street. But I can’t imagine how a 16-year old Jack would handle a detour, a change in the route, a traffic zig-zag. In so many ways Jack is battling to make a life for himself, a life of love and companionship and independence. He wants it all so badly; he talks frequently about getting married, buying a car, of going to college. If we can’t make this happen for him, I fear we will have failed him. Franklin D. Roosevelt once said, “All we have to fear is fear itself.” I disagree. If I could have a conversation with FDR, I would tell him there are lots of things to fear, things like anxiety and rigidity and social skills. And on top of those are really scary things like cognitive flexibility and auditory processing and perseverations. And on top of that? Dogs and never having a girlfriend even though you want one and watching your brothers drive a car while you can’t. I would say Franklin, step away from my nachos. Because you don’t get it. 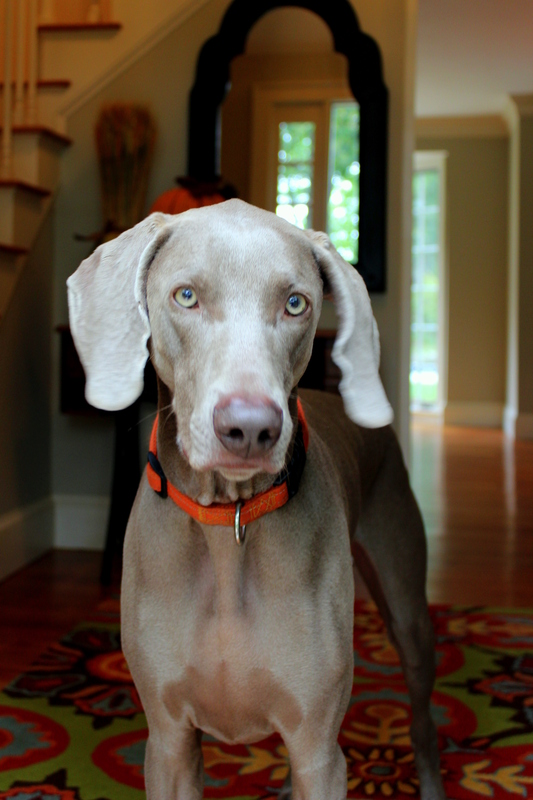 A few days ago we were pulling out of the driveway just as our neighbor went whizzing down the street on his bike with his steel-grey Weimaraner in tow. “Look, Jack! It’s Dr. Doug and Loki.” Jack covered his eyes and shrank back into his seat. He started to shriek, “I can’t. I can’t look. I’m SCARED of dogs.” And for a few minutes in the car our voices rose and fell, mine soothing and encouraging—look Jack just see how fast he runs—his escalating with panic. I CAN NOT! Hearing the fear in Jack’s voice made me think maybe FDR wasn’t so wrong after all. Maybe it is the fear itself that gets in our way. Because when I have too much fear in my heart and mind and soul, it crowds out all of the good stuff. It crowds out progress and celebration and joy. It crowds out dogs and going to birthday parties and taking a taste of slimy yogurt. I would share my nachos with this man. And if he didn’t like jalapeños, I would pick them all out myself. Jesus said “fear not, for I am with you “. I’d have nachos with Him. This piece of writing packages all that we fear about having a kid on the spectrum with all that we hope for them, in a nice, neat, jalapeno-free bow. Awesome post, Carrie. Awesome.